1. The interface when you log in. monitor will display” Username/Password Is Incorrect!”. for six times.After that, monitor will display “Restore default user”. 4. Click “Yes”, and you will access to the interface where you can reset NVR’s password. Tips: 1. The username must be “admin”, or else the password won’t be retrieved. 2. If you want to make new password, please leave it blank in column of “Old password”. 3. Delete the old password after reset the new one. exceed 10 characters, or the NVR will not save it correctly. at the bottom left of the monitor screen, or you can send the screenshot to us via email. After we confirm it, we will send you a temporary password. How to reset the NVR--K9504-W system? How to setup your TVI DVR recorder with security camera system? 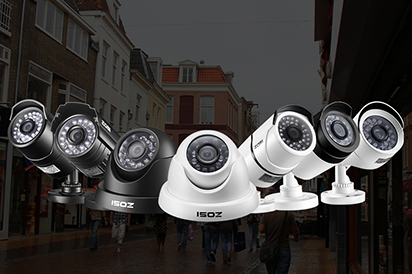 How to upgrade NVR and IP Cameras. How to reset all setting of the NVR system? What’s the WiFi distance of Zosi wireless kits? What if your NVR system keeps beeping? What if some of my cameras showing “IPC disconnected” or “Server not found”? What if all the screens on Zosi Cloud app say “Wrong password” or “pwd error”? How to reset the NVR--K9608-W system? How to reset the NVR--K9604-W system?